France and Switzerland are clearly the favorites to go through in Group E, but they better not under-estimate both Ecuador and Honduras, who will be waiting in their shadow for an opportunity to surprise. In a group with two European sides, as well as a Central-American and a South American team, things will certainly heat up when the time for decisions comes. 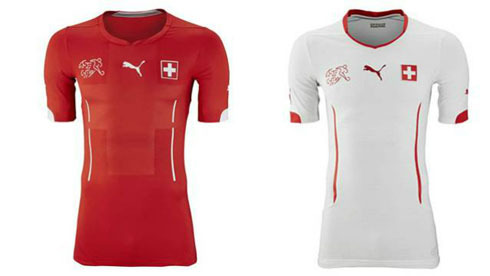 The Swiss are one of the most well organized sides coming into this World Cup. They were undefeated in the 10 games they've played in the European qualifiers, where they've easily imposed their mark against sides like Iceland, Slovenia and Norway. At the FIFA World Rankings, Switzerland shows up on a very prestigious 6th place, only behind powerhouse nations such as Brazil (1st), Germany (2nd), Spain (3rd), Portugal (4th) and Argentina (5th). However and despite their extremely good ranking in FIFA, Switzerland's odds to win this World Cup suggest that they are far from being regarded as one the favorites. Betting on their success in this tournament is currently valued with a payoff factor of 101. They never won a major tournament before and this will be the 10th time they make a World Cup appearance. On a curious note, it's interesting to point out that even though the Swiss are quite used to get into these stages of the World Cup (they even managed to reach the quarter-finals in 1934, 1938 and 1954), they've only qualified in 3 different occasions for past European Championships, on which they've never went beyond the first round. Switzerland XI: Benaglio; Lichtsteiner, Steve von Bergen, Fabian Schar, Ricardo Rodriguez; Behrami, Inler, Mehmedi; Xhaka, Stocker, Drmic. 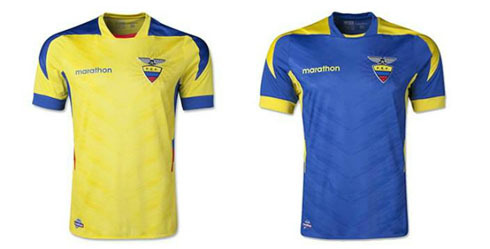 Ecuador made the cut into this 2014 World Cup after finishing 4th in the CONMEBOL qualifiers and earning a direct entrance to the tournament. They closed their group stage ahead of Uruguay and forced their South American rivals to go into a 2-leg playoff with New Zealand. They are regarded by FIFA as the 26th strongest national team in the World, but bookies don't believe that much in their chances of holding the trophy next July 13 in Rio de Janeiro, as they've been given odds of 126 to become the next World Champions. It's only Ecuador's 3rd World Cup appearance and even though arriving to this stage of the tournament may already seen a very good prize, they'll definitely be keen to try pulling off a surprise. Ecuador's main star is beyond doubts the experienced Manchester United winger Antonio Valencia, who has had two quite poor straight seasons in England. Over the last two years, Valencia had 59 appearances in the English Premier League and only managed to score in 3 different occasions. Ecuador XI: Banguera; Carlos Paredes, Guagua, Erazo, Walter Ayovi; Antonio Valencia, Noboa, Carlos Gruezo, Montero; Edwin Valencia, Caicedo. France had a sort of an emotional roller coaster campaign to get into the 2014 FIFA World Cup, and it all started with the unfortune of being drawn into the same qualifying group as Spain, where they would end up finishing 2nd. Didier Deschamp's men were then forced to play a 2-leg playoff against Ukraine in last November and after being defeated by 2-0 in Kyiv, they came back in Saint-Denis with a miraculous 3-0 win. 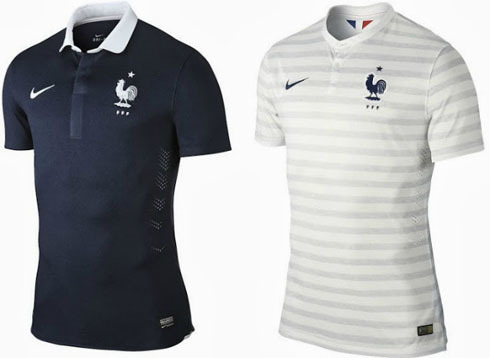 "Les Bleus", a nickname for which the French National Team is usually known for, have only won the World Cup once (in 1998, when the tournament was hosted in their own country), but have already clinched two European Championship titles (1984, 2000). They are ranked 17th in the FIFA World Rankings latest update from June 5 and are seen as the 6th strongest team in this tournament according to many sports bookmakers who have priced them with odds of 23. With Franck Ribery out of the World Cup, France not only lost their main star upfront, but also the player who had more capabilities to change the fate of a game all by himself. Nevertheless, they can still count with the very talented Juventus midfielder Paul Pogba and Real Madrid's main striker Karim Benzema. The French striker arrives to this World Cup particularly motivated, after having won the UEFA Champions League last May 24, in a final held in Lisbon. France XI: Joe Hart; Baines, Cahill, Jagielka, Luke Shaw; Milner, Steven Gerrard, Barkley, Wilshere; Wayne Rooney, Sturridge. Honduras might be one of the weakest teams in this World Cup, but the truth is that they've managed to finish ahead of Mexico in the CONCACAF qualifiers. They come ranked on the 33rd place at the FIFA World Rankings and this will be their 3rd participation in this major tournament. Their odds to win the World Cup are set at a 1 to 2001 payoff factor, and only Costa Rica is currently paying a higher payoff than them (2501). They shouldn't stand many realistic chances of going through to the last-16 round, but they will surely count on the experience of several of their players who are playing in the English Premier League, in England. The likes of Figueroa from Hull City and Palacios from Stoke, are most probably this squad's best players. 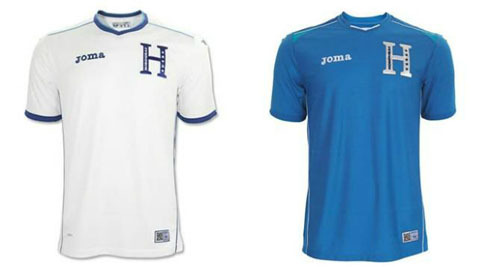 Honduras XI: Valladares; Beckeles, Bernardez, Figueroa, Izaguirre; Garcia, Espinoza, Palacios, Najar, Bengston; Costly. Cristiano Ronaldo's next game will be his last friendly before the World Cup kicks off, in a game between Portugal and Ireland, scheduled for June 10 of 2014, in New Jersey (United States). You can watch Juventus live stream, Portugal vs Ireland, Spain vs Netherlands, Brazil vs Croatia, and Chile vs Australia, all matches provided from our World Cup live streaming pages.